When one of our service members is injured we take care of them! The services have an entire system of combat rescue, medevac and airevac to move the heroes to hospitals with top notch facilities and medics to care for them. We all pray that no one has to be placed into this responsive system but knowing it is there and saving lives is reassuring. 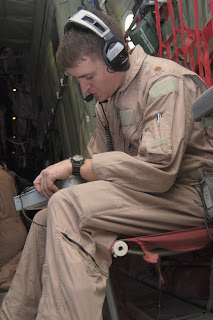 For part of my career I flew combat rescue and C-17s involved in these missions and know personally how seriously the aircrews and medical personnel take supporting our wounded heroes. During a Bloggers’ Roundtable we learned about an expanded role in the system by the Air National Guard and Air Force Reserve. Colonel Brett Wyrick, Air National Guard and Air Surgeon talked to us and answered questions about the Critical Care Air Transport Team (CCATT – “See Cat”) mission in the Air National Guard and Air Force Reserve. 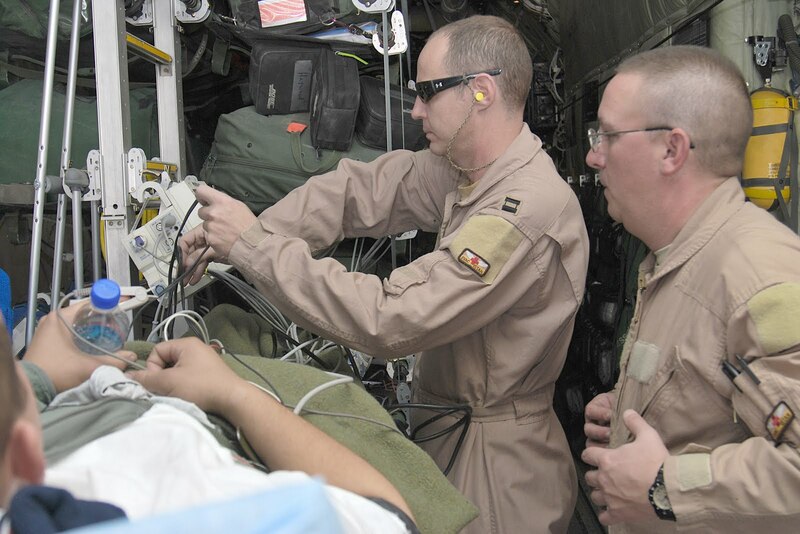 A CCATT is assigned to care for the most critical patients during air movement from in country to Landstuhl Hospital (Ra mstein AB Germany) and then on to the US. Most are taken into Andrews Air Force Base for a hospital in DC and burn victims will be taken to Brooks Army Medical Center in San Antonio. The team consists of a doctor specializing in critical care, pulmonology, anesthesiology or surgery; a critical care nurse and a respiratory technician. They can care for a maximum of four patients during the flight. The Air National Guard will have 18 teams and the Air Force Reserve will have 36 to expand responsiveness and reduce the active forces' opstempo according to Col Wyrick. CCATTs will be on alert at Ramstein so they can move forward to the combat theatre to move patients or take patients to the US from Landstuhl. The program was a concept only si x months ago and the first Air National Guard CCATT was on alert this week. 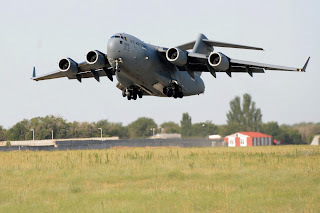 The teams can fly on aircraft such as C-17s, C-5s, C-130s and KC-135s and do not have dedicated aircraft. They may fly alone or with an airevac mission aircraft moving numerous less seriously injured patients. The Air National Guard expects to reach full mission capability within two years with all 18 teams and Col Wyrick added that the Guard brings a lot of experience with this program. 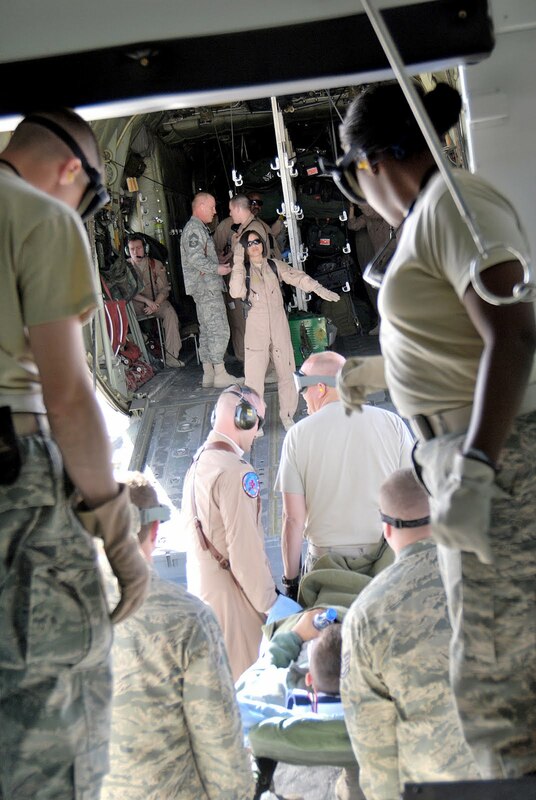 A high percentage of the Guard medical personnel have 15-20 years experience in caring for others and many have been involved in the CCATT mission before while on active duty. Some will need training in this specific mission but the initial teams are volunteering for extended alert periods of time and the teams will also provide capabilities for the states. Since the Air National Guard also performs missions for the Governor as state employees (describing this system of Title 32 is another whole blog) they could be available for the governors’ crisis response. If a natural disaster occurs with critical injuries requiring movement of the patients, the CCATT teams (they are from 17 states) could respond and assist those as well, creating an extra bang for our training bucks. 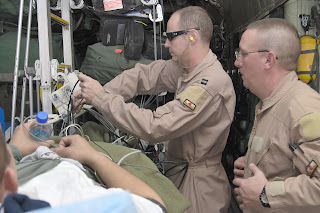 They can als o use the medical equipment owned by Air Mobility Command on any aircraft. Praying that your soldier, airman, sailor or marine never needs the services of the CCATT but so thankful that our country and military leadership recognizes the value of this type of care! If you would like to listen to this Roundtable or read a transcript please go to DoDLive. Thank you Colonel Wyrick for taking the time to tell us about this mission. Please go to MilitaryAvenue’s “Our Letters to You” for more interesting Roundtable subjects!